The Government body handling a £700,000 scheme to protect a Norfolk seaside village from coastal erosion has admitted making mistakes in its handling of the project. Campaigners for a desperately needed sea defence scheme in Happisburgh last night welcomed the admission, but said it had not gone far enough. In a letter to North Norfolk MP Norman Lamb, environment minister Elliott Morley admitted that officials at the Department of Food and Rural Affairs (Defra) could have dealt with paperwork more quickly. As reported recently in the EDP, the scheme in question has now been rendered unviable – because too much time has been spent trying to untangle all the red tape. 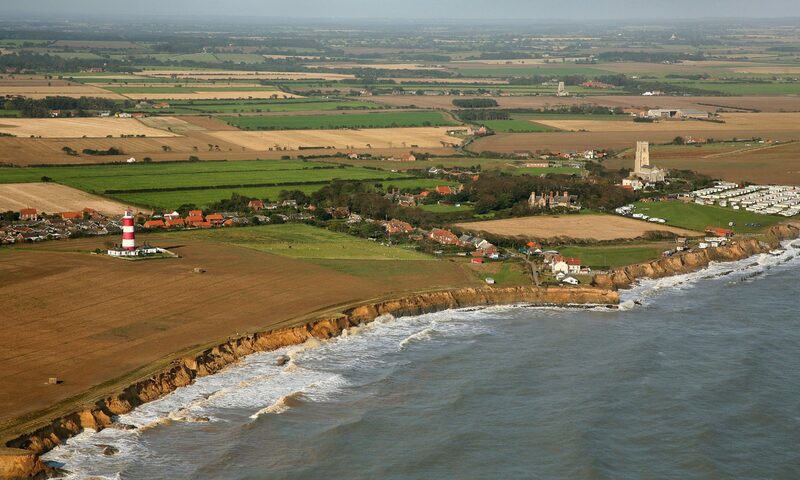 Meanwhile, Happisburgh residents continue to await their fate as more cliff is lost to the North Sea. A £160,000 “interim” scheme to provide some respite from the sea was launched a week ago and should be completed in the New Year. The scheme is currently on course, and 4000 tonnes of rock should have been delivered to the beach either by Christmas, or shortly after. The documents referred to were parts of the initial North Norfolk District Council application – sent to the Government in May – requesting the scheme. The admission appears to strengthen more specific claims made by campaigners that Defra held the scheme up by taking too long to sort out paperwork. “It is a refreshing change, here is a Government minister saying we may have messed up,” said campaign group co-ordinator Malcolm Kerby. “It may even give us some ammunition to do back to Defra and ask them to review the scheme again. “But it is also a smokescreen to cover their own inadequacies. They failed to even look at the application in the first two months they had it, which was a ridiculous delay in circumstances where time was all-important. Mr Lamb said he was grateful for the letter and what he described as a “frank assessment” from Mr Morley. A key sticking point for the Happisburgh scheme has been the organisation of a hearing to resolve objections from lord of the manor Eric Couzens and academic Keith Clayton. Referring to this problem, Mr Lamb said: “The tragedy is that the delay in securing a hearing has effectively meant that it is too late to assess this scheme. Mr Morley also said in his letter that Defra would consider a suggestion to “clarify” some of the bureaucratic processes local authorities have to go through.